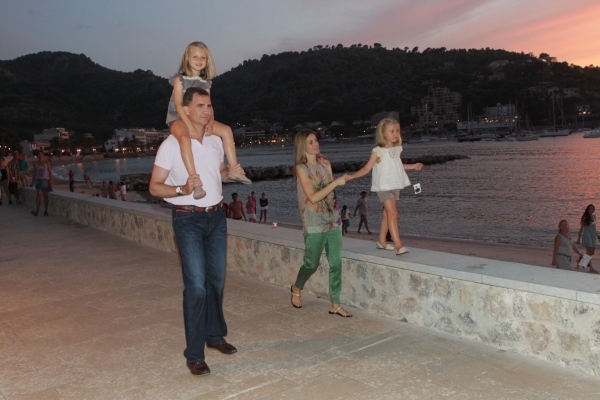 Prince Felipe and Princess Letizia and their daughters, Infanta Leonor and Infanta Sofia, took a public outing yesterday during their vacations in Mallorca. 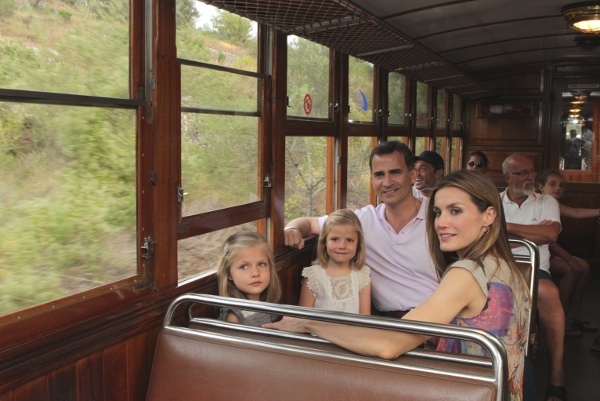 The family took the train from Palma de Mallorca to the Port of Sóller, a major tourist attraction in the Balearic Islands. Walking in the Port of Sóller. Click here to watch video from Hola TV. The magazine also showcased the Duchess of Alba’s first swim during her own vacations in nearby Ibiza. 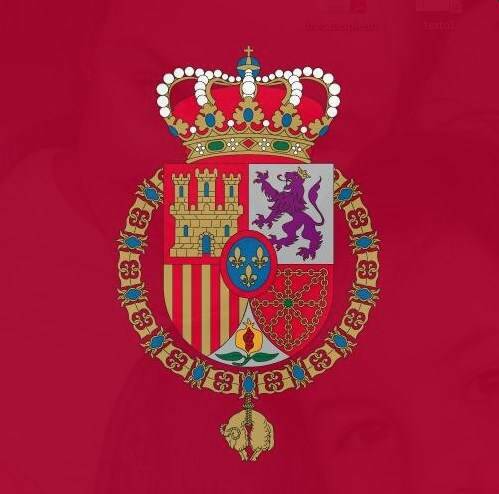 The Duchess is the woman with the most titles of nobility in the world.